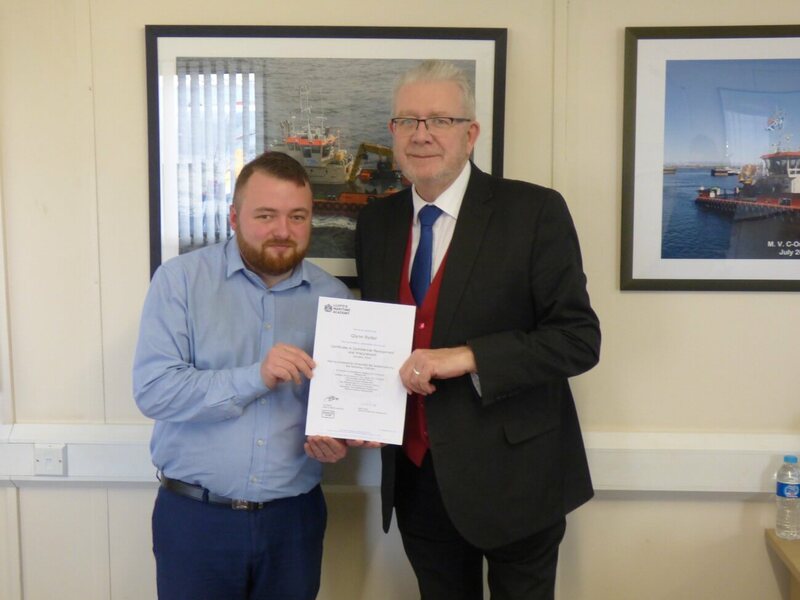 While visiting, Michael Russell MSP presented Leask Marine’s Resources Coordinator, Glynn Ryder with his Lloyds Maritime Academy Certificate in Commercial Management & Procurement. Lloyd’s Maritime Academy is the world’s largest provider of professional development courses and academic education qualifications for the maritime industry. The Certificate in Commercial Management and Procurement delivers the essential knowledge and skills required to build and enhance knowledge of commercial management and strategic procurement, and how these can deliver benefits to the bottom-line immediately through a minimised cost-base and increased business. The course was a distance course over a four-month period.